Harmony of Cultural Sounds Project was founded in 2012, with a series of events taking place in UK and Japan. 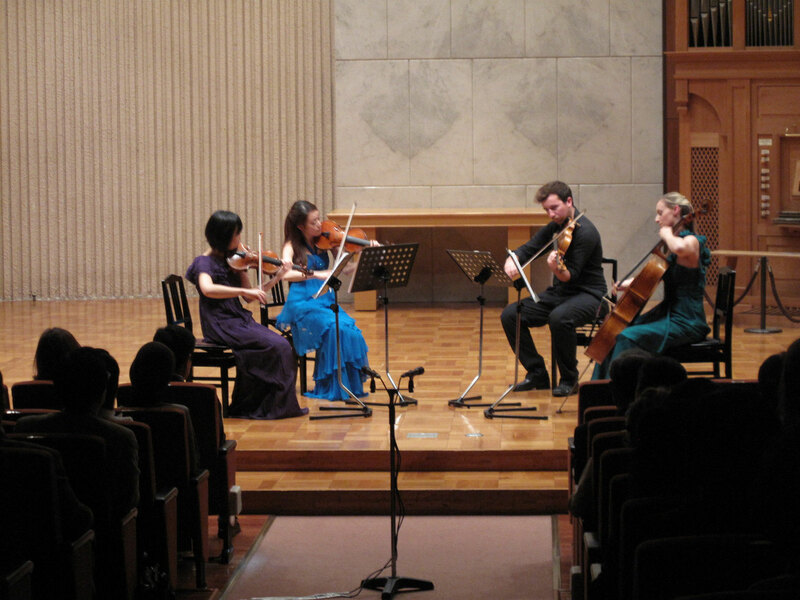 The project consists of concerts and workshops involving musicians, composers and audience from both countries, to explore the diverse repertoire of chamber music written by British and Japanese composers. 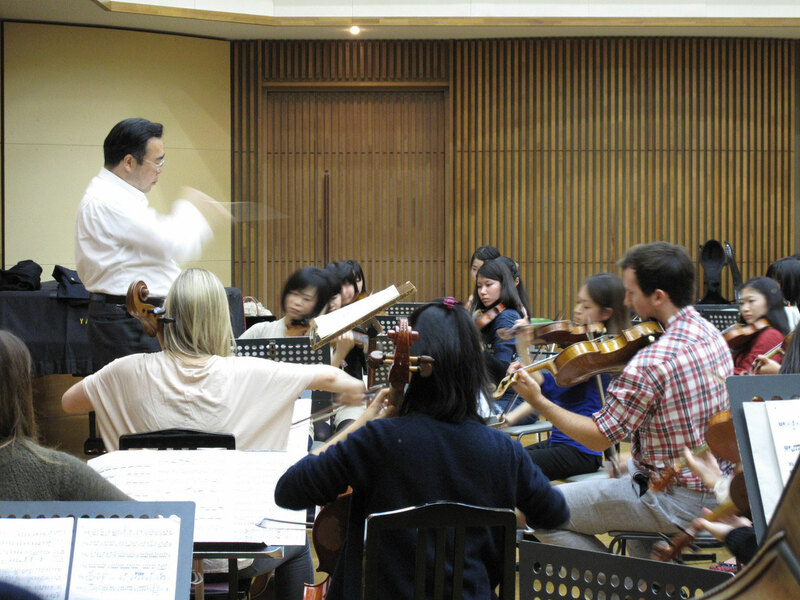 By looking at different ways to communicate through music, the project aims to build a cultural bridge between UK and Japan, and foster deeper understanding of music through practical activities. A particular focus is cast upon the development of exchanges between musicians, composers and audiences. This triangular connection is vital in nurturing musical works that are written today, as well as reviving the neglected, yet significant works from the past. 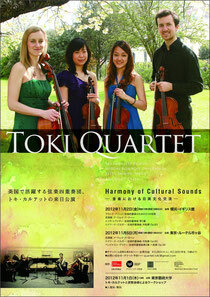 In 2012, the project started off with concert tours in UK and Japan with the Toki Quartet. An ensemble consisting of two Japanese and two UK artists, the Quartet gave series of concerts and workshops, exploring Quartets by British and Japanese composers. 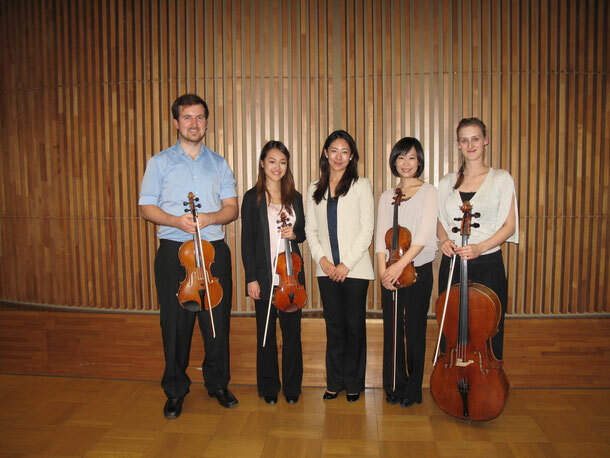 Working with composers Nicola LeFanu and Yuka Takechi, the workshops were hosted at the Royal Academy of Music, and at Tokyo University of Arts, involving the university students. The project has been generously supported by the Musicians Benevolent Fund, the Daiwa Anglo-Japanese Foundation, Holst Foundation and the Britten-Pears Foundation. 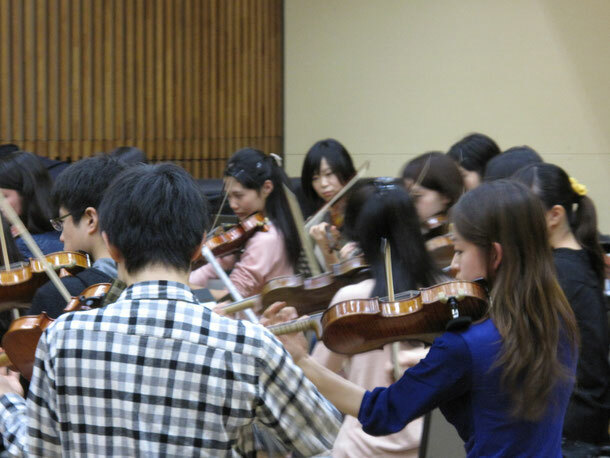 Midori Komachi and Aki Sawa, playing with the students of the String Orchestra.